Marcelo Bielsa's Whites fail to reclaim their place in the top two as QPR put an end to seven-game losing streak. Steve McClaren's QPR finally put an end to their seven-game losing streak as they beat promotion-chasing Leeds United 1-0 at Loftus Road. The visitors saw more of the ball in a subdued opening half, but they failed to convert that into clear-cut chances as Joe Lumley was rarely tested between the sticks for QPR. And it was to be QPR that opened the scoring as Luke Freeman, on his return to the team, cleverly flicked the ball past Kiko Casilla shortly after the restart. 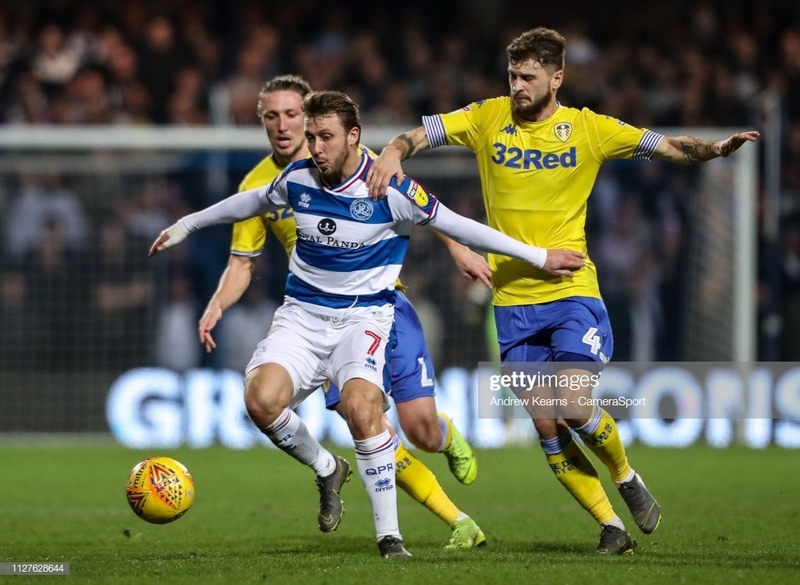 Patrick Bamford and second-half substitute Stuart Dallas had chances to equalise but a strong defensive display from QPR largely kept them at bay. Going a goal up did little to dissipate any Loftus Road nerves, given that QPR had allowed Bristol City to score two goals in the final 20 minutes to win 2-1, and West Bromwich Albion an injury-time winner, during this seven-game losing streak. But while they ceded the ball to the visitors, they were relatively comfortable throughout. After Freeman's exceptional backheel flick opened the scoring for QPR, the central defensive partnership of Grant Hall and Leistner did what was required of them as they constantly cut out every ball sent into their box. Lumley wasn't required to do a great deal but made big saves when it really mattered, including a great low stretch to deny Dallas and getting up quick to deny Bamford following in. QPR's first clean sheet of 2019 was one they earned through hard work and focus. Only two other teams in the Championship had denied Leeds a goal this season. In this game-in-hand over the top two, a win would have taken Leeds back to the top of the Championship, while a draw would have taken them above Sheffield United into second. However, they failed to take the opportunity and remain outside of the automatic promotion positions for the first time since October. As has often been the case for Marcelo Bielsa's Leeds this season, they dominated possession and territory in a largely attritional opening 45 minutes but failed to create clear-cut opportunities. The Argentinian manager said in his pre-match press conference that this wouldn't be an easy game, and it proved to be the case. The biggest incident of the first half was an early penalty shout as Toni Leistner's raised arm got in the way of a Tyler Roberts shot. Before half-time, Leeds came closest as Bamford almost made it onto the end of a Pablo Hernandez cross. Had he been a yard further forward, the goal was gaping at the far post. Three substitutions from Bielsa failed to change the tide of the game, as they failed to breach QPR's dogged defence. They created a couple of good opportunities this season but rescuing a point or three, as they have done so often this season, never really looked on the cards. Izzy Brown's emergence could be a godsend for Leeds - but he needs to keep a cool head. The Chelsea loanee has had to bide his time in Leeds' Under-23s this season, before becoming an unused substitute in recent weeks. Six months since joining Leeds, he finally appeared from the bench to make his debut ten minutes before full-time. Bielsa's men have lacked incision and cutting edge in recent weeks and could provide an extra impetus that they're crying out for. On the night, he failed to make an impact in attacking sense but could have seen red when with a wild lunging challenge. Lucky to be booked, he committed another foul shortly afterwards. His enthusiasm can't be faulted, but rashness is the last thing Leeds need as they approach the final run-in. The influential midfielder was missed at the weekend as a knock kept him out of the game against Middlesbrough, in which QPR toiled in a 2-0 defeat. On his surprise return to the starting XI, Freeman was the hosts' most dangerous player throughout, often asking questions of Leeds backline as he dribbled through midfield. Not only that, but it was a touch of real class with his finish to give QPR the lead. The Macedonian was far from Leeds best player on the night, and was culpable of wasteful piot shots and passing in the final third, but his energy and industry cannot be faulted. Nobody has played more minutes for Leeds this season, but unlike some of his teammates, he never appears tired. Moving to left back has demanded more yards of Ezgjan Alioski but he's never found not tracking back. Freeman deservedly received a standing ovation from the home support when he was substituted off seven minutes before full-time. QPR's goalscorer on the night was also their all-around best player.